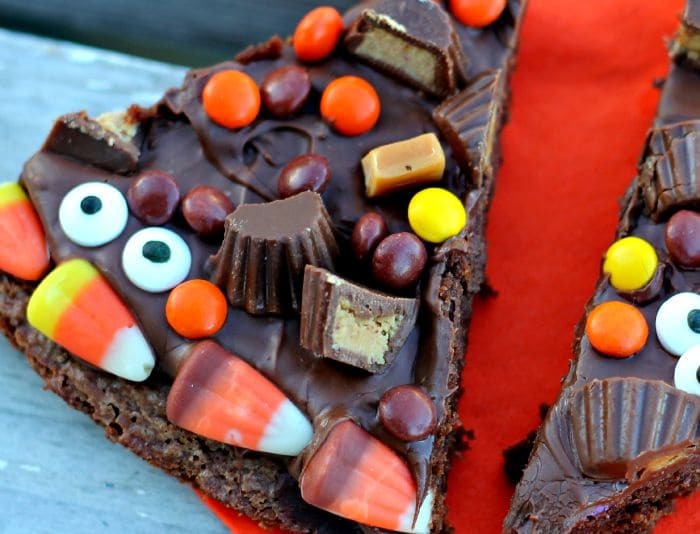 These 15 Halloween desserts take it way beyond the packaged candy you’ll be giving out to the kids. Maybe you bought Halloween candy two weeks before Halloween, ate it all, and then had to buy more. Hey, it happens and this is just a hypothetical situation. 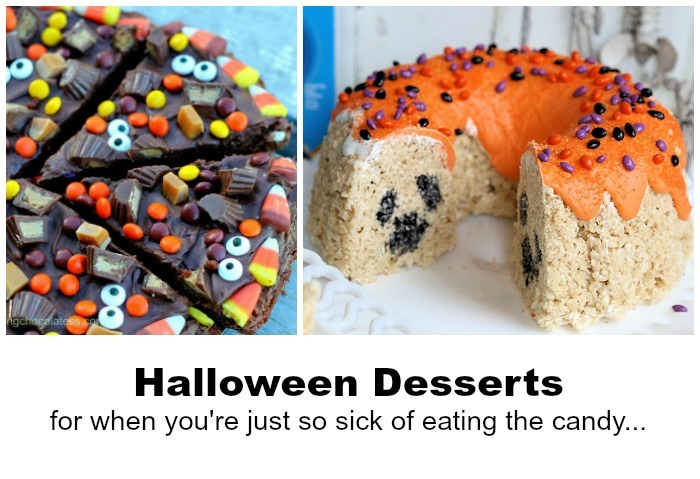 By the time Halloween rolls around, you’re sick and tired of packaged Halloween candy. I mean, I just ate a 2-pound bag of Halloween chocolates! 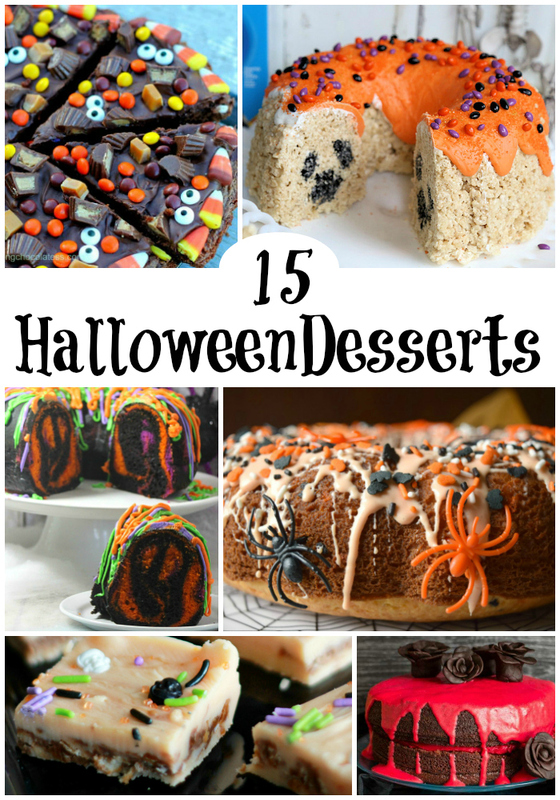 This roundup of 15 Halloween desserts is sure to have something you (and the kids) will love. Halloween is such a fun, carefree time to bake with the kids. Go beyond the monster cookies and packaged candy this year – these recipes sure do make it easy. I had no idea this was so easy! If you’re a fan of Oreos, you’re going to love this. You guys, I want to dive in. I can do this. You can do this. We’ll have a piece of cake together. So that secret ingredient? I would’ve NEVER guessed. True fans of candy corn, UNITE! I’ll be over here in the corner crafting with the waxy candies. 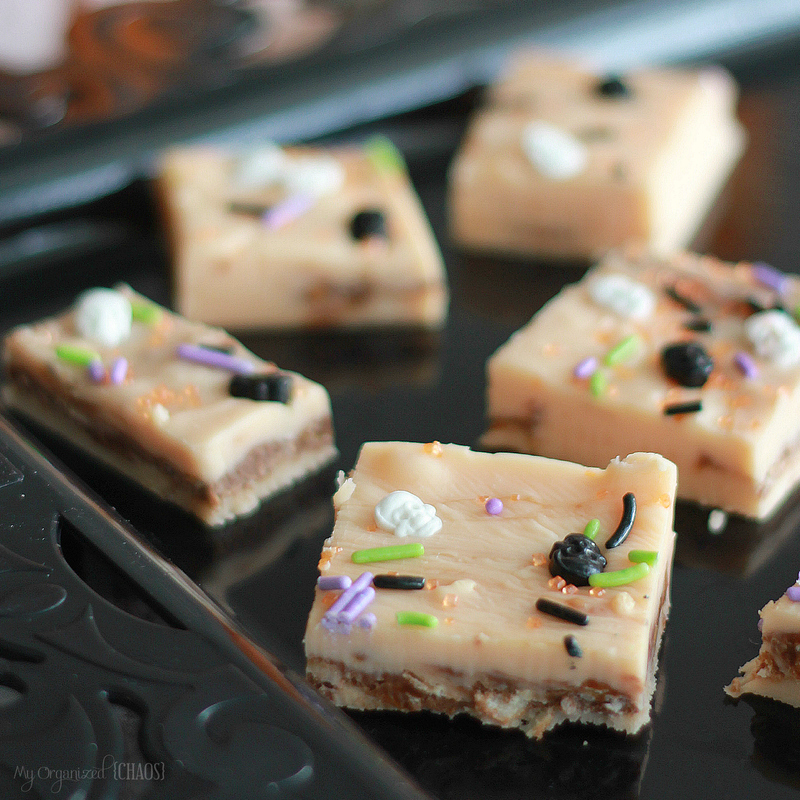 This easy (5-ingredient) Halloween fudge will wow your spooky little socks off, friends. 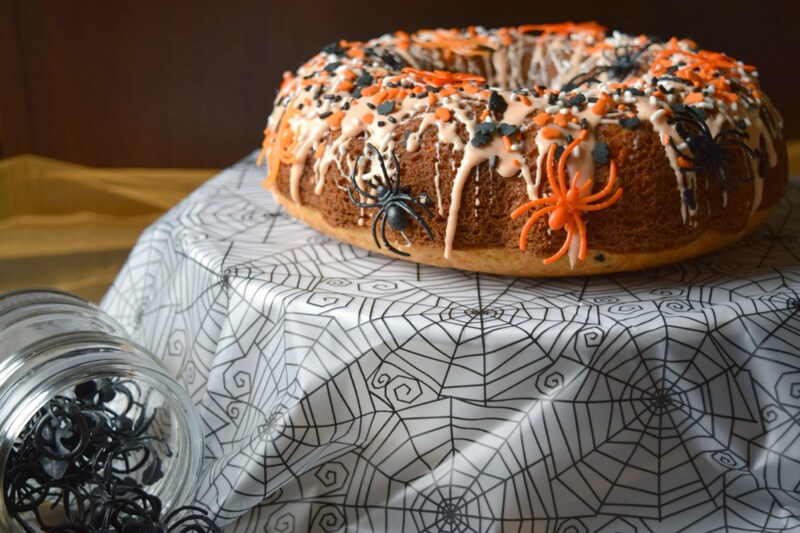 This might be one of my favorites in this spooky roundup of Halloween desserts. This combines so many good things. I think I just fainted but now that I’m back, off to the grocery I go! This would be PERFECT to make with the kids on those teacher work days. And then send them outside. I think we should all just sit and appreciate the people who think pizzas should be dessert pizzas. STOP THE PRESSES! This is the cutest thing – those little ghosts? Oh my word, I can’t! 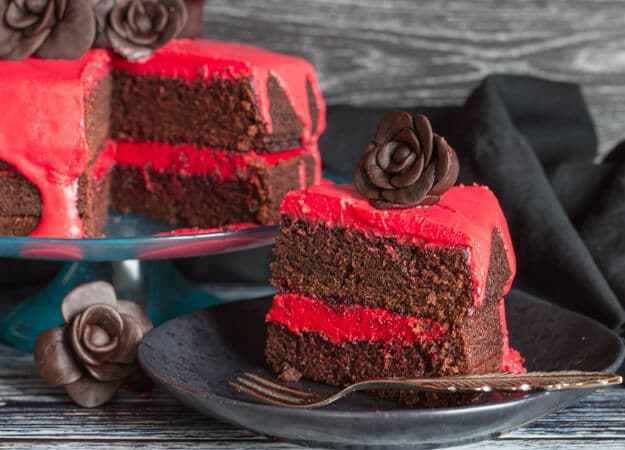 Cake bars. Who are these craft folk? This has to be one of the most creative ways I’ve ever seen Rice Krispies used. It’s colorful. It’s spooky. Maybe it will be just what your party needs? Be honest… Are you a fan of the bloody good double chocolate cake or is the Ghosts in the Graveyard Truffle more your thing? Be sure to pin this to share the spooky sweets!